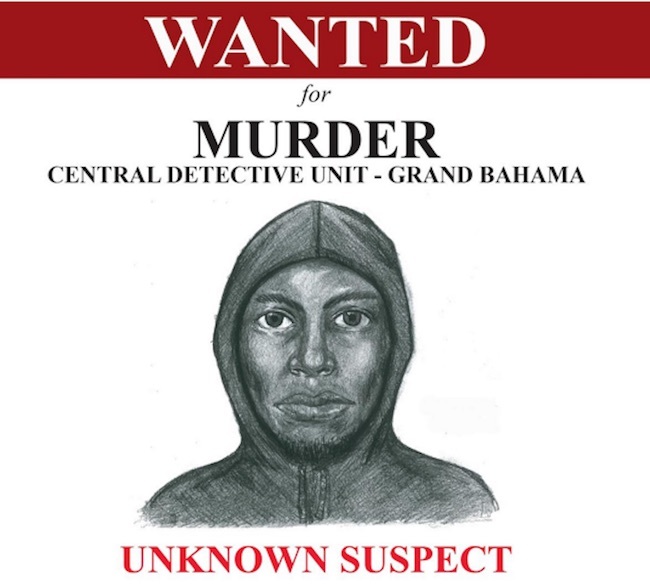 Freeport, Bahamas - Police in Grand Bahama need your assistance in identifying and locating a male suspect who is wanted by the Central Detective Unit for murder. The suspect is described as standing between 6ft – 6’1” in height, weighing approximately 180 lbs., slim built with dark complexion. The suspect is wanted in connection with a murder which occurred on Oat Street, Freeport, Grand Bahama sometime around 9:00pm on Sunday 1st April, 2017. This suspect is considered Armed and Extremely Dangerous and should not be approach. If seen or if you have any information concerning this person, please contact the Central Detective Unit at telephone numbers 350-3107 thru12, 911/919 or call your nearest police station.